How to Record at Home - Drums, Pt. 3 | Gear Acquisition Syndrome!! How to Record at Home – Drums, Pt. 3: Fine Tune Your Tuning! When I look back at the many drum sounds I’ve encountered while performing and studying music, I have to say that the 80s produced the most wide-spread variety of drum sounds and approaches out of all the decades of recording. There was something in the water, I guess, back then – every engineer and producer seemed to want to try to make the drums sound different than they ever had before. Gated drums; flanged drums; Simmons drums; MIDI drums; Roto-Toms… the list of twisted drum methods went on and on. Not that I’m complaining, mind you. That era gave us some unforgettable, shining moments in percussion history (“In the Air Tonight”, anyone?). But since then, and even during that time, one thing kept happening behind the scenes that many who start recording drums forget to address: the tuning of the drum heads! If you’re learning how to record at home and want your drums to sound as killer as possible, you must spend the time choosing the right heads that will complement your sound, and then tune them appropriately as well. It will make a big difference in the quality and creativity of sound you get in the final mix. Wanna know why? 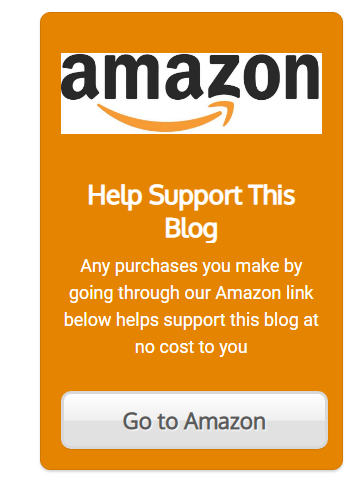 Thought you might… ! So, why should we tune our drum heads before a recording or an important gig anyways? Is it really that important?? 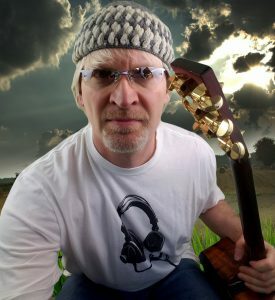 Now, don’t get me wrong – I’ve played with others before, without fine-tuning my kit from the lugs up, but… they were usually just jam sessions. If it’s a paid job, we want to sound our best. These four basically come down to one principle: everything we play sounding, at all times, professional. We all want that, right? Having a kit that sounds cohesive, and musically complementary to the gig and songs you are playing, will get you a lot of the way there. But there’s no one way to tune a kit. One thing, however, is certain: most drum recordings we’ve heard were strategically tuned for the particular song or project; rarely is a kit spontaneously recorded while tuned in random, non-related pitches. So if you just set up your kit and play, tunings be damned, you’re gonna sound, at the best, a little amateurish in your tone. And for good reason: for quite a few decades now, our ears have become accustomed to a drum kit being tuned certain ways. We’ve all heard thousands of songs in our lifetimes, and in most of them we’ve heard drum kits that contain tunings that are very specific, thought out, and meticulously adjusted for the recordings. No wonder, then, that playing or recording a kit with no tuning preparation will leave your audience kinda goin’… “Meh.” Not the reaction you’re going for, I’m sure! But won’t advanced technique win the day every time over drum sound?? In many cases, no. Your technique might be amazing and flawless, but any of you who have recorded drums in a studio setting know that drummers are not often called upon for really advanced techniques. Instead, they’re called upon most of the time for tempo consistency, serving the song with the right simple groove and having a drum kit that sounds really good when mic’ed up. Tuning our drums makes that last criterion come alive, and puts us as players in that upper echelon… the meticulous ones who do all it takes to sound amazing for every session. And that, my friends, is what gets us those magical dreams-come-true… called more gigs! So just commit to yourself right now to do it; fine-tune your kit for every performance. To do this, you’ll need to factor in right now tuning time, in addition to your usual load-in time. If you don’t plan for it now you’ll forget, so PLAN IT NOW. Do this and you’ll always be ahead of the game, and you’ll receive glowing reviews from the people that matter: your fans, and your sound mixers. Let’s now look at specific ways to tune your drums. The first I like to call “tuning to the wood“. This is a matter of finding the RESONANCE of whichever specific drum you’re working on and dialing the head in to that pitch. In this technique, you’re letting the drums themselves dictate the tuning. Think about it: drum manufacturers go to great lengths to produce drums that have a good sound. There’s a “sweet spot” for each drum that will make it sound great when set up properly. Much of this has to do with installing and tuning a drum head on it properly. Do you know what the inherent good news in that is?? It’s that you don’t actually have to have a kit worth several thousands of dollars to produce a recorded sound that worth a million bucks! If you take the time to find each of your drum’s innate resonance tones, they’ll sing like Pavarotti, and give you as much drum as you want in the mix without being buried. So, each drum, based on its size, and material, has its own innate resonant frequency – the specific frequency where that drum will sound the loudest and ring the longest. Where that tone is on the Hertz scale is based purely on how, and with what, the drum was made. The way we find this is by gradually increasing the tension on a single drum head (the other should be muffled or not on yet) until the clearest, loudest and most sustaining note is found. This is where the drum naturally sings – you’ll hear it. If you then tighten the lugs past this specific resonance tension, you’ll notice the sound power and sustain then decreases again. That means you’re moving away, higher, from the drum’s natural resonant vibration. Do you want your drums to sing with their best voice? Or would you rather they stay choked off? Muffled? Strangled? Obviously we want to bolster the best out of our kit, so find the resonant tones of your drums. It’s a crucial first step to an impressive final tuning that will sound amazing in the context of a tune! So, should we always tune a drum to its resonant tone for every gig or session?? Not necessarily. Every decision we make concerning our drums should be done for musical reasons, not just convenience or cost concerns. One context for not using the resonant tone method is when we want our kit to tune “to the song“. This is usually done when the drummer, or the tracking engineer (or BOTH! ), are hearing that the kit is not musically gelling very well with the other tonal instruments, like the keyboards or guitars. This is usually because the key that the song is written in is “dissonant” with the tuning of your drums. That just means they clash, i.e…. they don’t play together nicely! The easiest way to do this as a drummer, even if you’re not up on musical scales, tones and such, is to simply ask the keyboardist or guitarist “What key is this in?“. 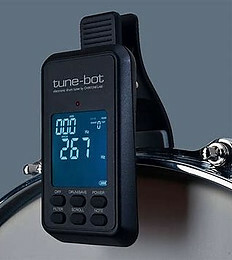 \Then, use a drum tuner (lotsa brands out there, just pick one) to match your drums with the key. The key will either be MAJOR or it will be MINOR. 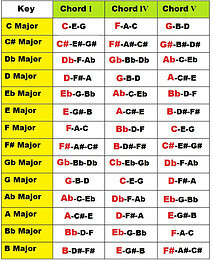 To the left I’ve added for you the breakdown of the three notes (or “triad”) that outline the main chord in each key. Use your drum tuner to match accordingly. 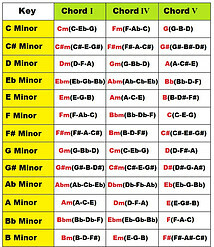 For example, if the song is in “C” (major) then I would tune my toms to the notes in the Chord 1 column: “C“, “E” and “G“. Whether you tune those pitches ascending or descending (i.e. “C” on top, or bottom) is up to you. I would probably put the “C” on the lower tom and outline the chord so it’s ascending. But descending might sound interesting too. As I say in the studio all the time, ya never know ’til ya try something, so don’t be afraid to experiment. Just do your fiddling before the session, because we all know time is money, & no one’s going to want to wait while you guess your tuning – they’re ready to play! As for the snare, you can choose whichever note of the three you like to match. OR, as I often do, make it a different pitch of your choosing to make it stand out. For me, it’s all about the song, so I’d try higher and lower pitches to see which one suits the song best. Remember, your snare is your kit’s “soloist”, so its voice must be impressive and complementary. Your higher toms and snare are the most important. The bigger toms have such lower pitches that they typically don’t interfere as much. It is not unheard-of in pro studios for the drum kits to tuned to match the first song of the session. Each tom and the all-important snare are tuned to sit perfectly in the key of the song and bolster those pitches for added “oomph” and power. Then, when the next song drops, they adjust from there. In fact, according to my friend Ross Garfield, whose drum cartage and supply company “Drum Doctors” revolutionized L.A.’s drum session scene in the 80s and is still going strong today, some producers have even called for several drum sets, all with different timbres and tunings, to be delivered for one recording session. THAT’s how important it was to match the song’s overall vibe. For the full, SO-insightful interview with Ross, CLICK HERE. Now, if successful music moguls making millions are doing this… shouldn’t we change our tuning once in a while, to complement the songs we’re playing on? The short answer: uh…. DUH! Yes!! A third way to tune your drums, which is not prevalent yet but is on the rise thanks to current technology, is “tuning to math“. This approach takes the Hertz frequency scale into consideration and spreads the drum tones out in a spaced spectrum based on how many drums you have. It’s the most scientific approach to getting a good drum sound, and those with an analytical bent will probably gravitate towards this one naturally. You will need a drum tuner for this approach, since you’ll need the numbers on the pitch readout screen to match the tuning graphs. If you use this method, remember that the more drums you have, the smaller the intervals need to be, pitch-wise, between your toms. The absolute best example I’ve seen of using Hertz mathematics to calculate the pitch positioning of drum heads is done by our friends at “TuneBot”. Talk about having it down to a science! If a more calculation-based approach floats your rhythmic boat, you’re gonna love their charts and info. I couldn’t do it better, so just follow their comprehensive primer HERE. This approach uses musical intervals, just like our previous method, but it doesn’t concern itself with matching any particular song. It just spreads the kit out evenly and makes sure it sounds great all by itself. I personally might use this method to start my tuning, but since everything should be about THE SONG when recording, I’d definitely change it if it clashed in any way with the key once we’ve started run-throughs after set-up. I love Hendrix. His skill. His showmanship. The way he brought feedback to the forefront of guitar playing. Amazing. These are all things that we usually can fix by changing our tuning. It’s a trade-off tho’, because if you fix one of those problems by changing your tuning, you will probably lose the perfect resonance of one or more of your drums. So should you just slap a gate on the offending drums instead? Maybe. It depends on what’s more important to you as the tracking engineer/producer. Your job is to get the very best sound out of those drums for the song at hand. So, put on a gate. Does that improve the sound within the tune? Or, instead, change the pitch of the offending drum. Does that improve the sound within the tune better? Or worse? As with everything, (why yes I will say it again!) it’s all about the song, not the drum. So only make, and keep, a change that makes the overall song sound better. Otherwise, you might as well just be recording a “solo drums” record! If you work with (or ARE) an engineer who prefers keeping the drum tunings the same on all tracks, song to song (what I don’t advise), then sure… set your tunings the way you like and make sure you’re monitoring that they’re staying that way throughout all the recordings. I will say, though, that if you choose that ‘easier path’, you’re missing out on some wonderful opportunities to foster incredibly pleasing, symbiotic interplay between the drums and the other tonal instruments. Especially considering how the overtones on drums ring out, the potential for impactful, congruous washes in your room mics, IF you tune to the key, is quite high. The last thing I’ll say about tuning to overcome noises and unwanted ringing is this: most of the time in the studio, I don’t have to bother the tuning at all for this. It’s called “Moon Gels“, baby. Buy these… problems solved! I have great respect for talented drummers. I know many who are far better than I at the skins. But in the studio, here’s what I find: very few of them are well-versed in the intricacies of software recording, mixing, mastering… and specifically, what it takes to make drums sound AMAZING in a mix. 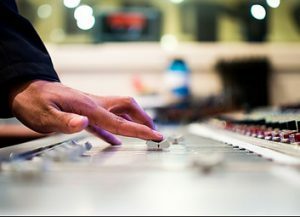 Unless you have years of experience actually recording and mixing your drums in the studio, always defer to your tracking and mixing engineer. It’s their job to make you sound as cool as you possibly can, and they probably know their studio tools (compressors, transient designers, limiters, reverbs, gates…) way better than you do. Do this, and not only will any problems be addressed and the recording improved, but the engineer’s eyebrows will raise in amazement that a drummer actually asked that question and they’ll forever think you are the bombest of the bomb. So, that’s what you need to know about tuning drums. From here, you can go make the type of killer recordings legends are known for… at least from the standpoint of how your drums sound. Stay tuned for more intriguing glimpses into studio & concert life here at Seriousgas, and let us know in the Comments how these tuning techniques work for you, or ones YOU use that are different. Now, go… make… (in tune) sounds!! Great to meet you online, Christopher! Yes, you can absolutely tune each drum to specific pitches. Sometimes that makes the track pop; sometimes not. It’s all about having the ear and experience to know what to try for each particular song. To hear some great, pro examples of what I mean, read THIS ARTICLE which I did with esteemed L.A. “Drum Doctor” Ross Garfield. Some really funny stories from him there too. Also, yes, the time you spend dialing in your drum heads can make a HUUUUGE difference in whether or not you get a sound that sounds like a million bucks – and it might only cost you under $100! Nothing wrong at all with a basic drum track. Sometimes less IS more. But just make sure, even when you’re putting in an un-complicated drum part, that you’re spending time making the drums, via the tuning of the heads, sound as awesome as possible. You won’t regret it! Hope to see ’round again, Christopher!! This is post is right up my alley as I am a singer/songwriter and record in my very minimalist home studio. I had to laugh when I read the part about the 80’s producing the greatest variety of drum sounds because it’s so true. That’s when we started hearing all kinds of weird sounds (maybe not all of them good). I have to admit that even though I am a musician, I didn’t know there was so much involved in the tuning of drums (I play acoustic guitar). Are you saying that you can actually match a drum tone to the key of the music being played? If so, that’s amazing! Also, it sounds like what you’re saying is that the quality of sound is more dependent on finding resonance than spending mucho dinero. Boy, I hate to admit it but when I make my recordings I use sparse instrumentation and a basic drum track. This post has really given me some musical education.